If you’ve ever bought a home in the past then you might be interested in how to sell your home quickly when the time comes to sell. Some homeowners might think the process to sell a home is lengthy and difficult but it’s actually quite simple if you have the right information. When the time arrives to sell you’ll appreciate having these tips to help make the process easier. If you’re at a time in your life that you need to sell your home quickly then this article is for you. One of the most important things to prepare your home for sale is cleanliness. Keeping your home in a clean and organized show ready condition will make the process easier for showings. Organization and proper placement of a homeowners personal items is critical because when potential buyers visit your home they don’t want to see personal items like family photos, DVD collections, etc. Put those items away so a buyer can envision themselves in the home without your items around them. Equally important as cleanliness of the home is pricing. You can have the cleanest home for sale on the market but if it’s not priced accordingly it will never sell. When establishing fair market value you’ll likely be presented with a CMA or comparable market analysis from your Realtor. If you don’t have a Realtor, get one today! Your Realtor will probably give you a fair market value range. That range will give you the info you need to establish proper pricing, the higher you list your home in the range the longer the DOM or days on market will be. The closest to the bottom of the range the quicker the results to sell your home quickly. One thing to think about is to price your home on the lower end of the market if you want to sell your home quickly. Lower priced homes will often create a bidding war among buyers that usually result in a sales price higher than what the seller was hoping for. People’s competitive nature will be a driving force in pushing the price higher and higher. Online marketing will help Sell Your Home Faster! If you’ve hired a Realtor to represent you in the sale of your home then hopefully you’ve interviewed them and asked about what marketing and advertising they’re going to do to help sell your home quickly. Technology is all around us these days and real estate is no difference. Online marketing will be required to sell your home. With the requirement to use technology to sell homes you’ll want to make sure you hire a Realtor that is tech-savvy and knows how to use online marketing to sell homes. 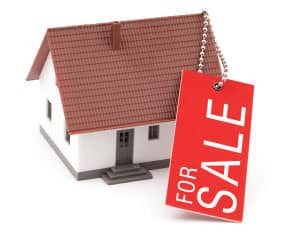 If you’re interested in learning more about how to sell your home quickly, please contact us or leave a comment below. We’d appreciate the opportunity to assist you!